﻿ Jujubee S.A. - Games Developer and Publisher. iOS | Android | WP | PC | Mac | Linux | PS4 | Xbox One - Jujubee at Gamescom 2016 in Cologne! 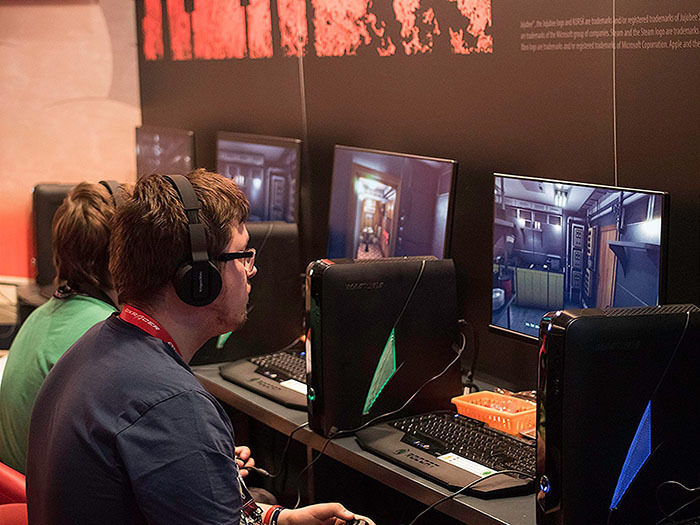 This year it was the third time we have attended Gamescom as exhibitors, but it was also the first time when we have featured one of our games on a higher scale - in the Entertainment Area that was opened to hundreds of thousands of visitors! This is why the 2016 edition of Gamescom was a huge challenge from a logistical and organizational point of view. 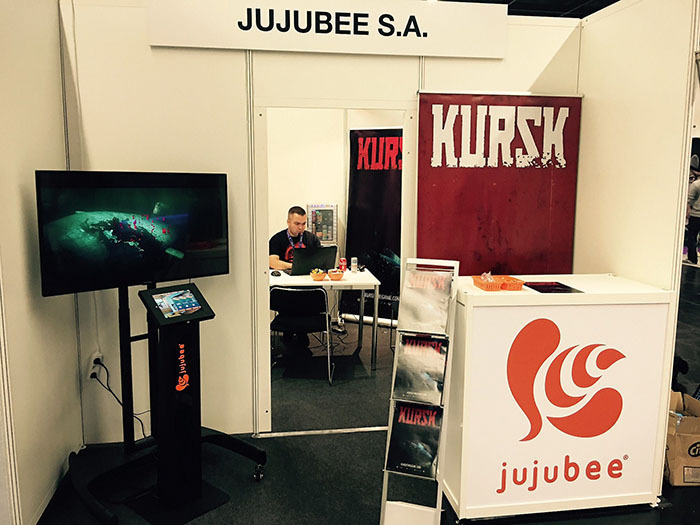 Our aim was to arrange multiple business and press meetings in our booth in the Business Area and additionally we were focused on managing the public showcase of our upcoming game “KURSK” in the Entertainment section of the trade fair. The preparation time was pretty exhausting, yet satisfying, as we managed to organize everything on time, and the only thing left, was to travel safely to Cologne and set up the booths for the showcase. On the day of arrival we realized that there is still a lot of hard work ahead of us. Unpacking the whole equipment for two separate booths lasted far longer than we have imagined. We had to set up computers, monitors and our TV sets, unload gadgets, prepare the interiors of our two booths and so on, when we were ready it was… 4 AM! And the trade fair was about to begin in less than 5 hours! Not too much time to go back to the hotel and have some sleep, but hey, we’ve made it! Nevertheless if we come to Gamescom next year, we will make sure to get there one day earlier. Those couple of days were a big test for us and for the demo of the game. As expected visitors and press gave us a lot of useful feedback that can be crucial for our further decisions over the game development. Thanks to the effort of our team, we managed to show the demo to many visitors, who came to the conclusion that KURSK is a very mature and serious game about the real disaster. 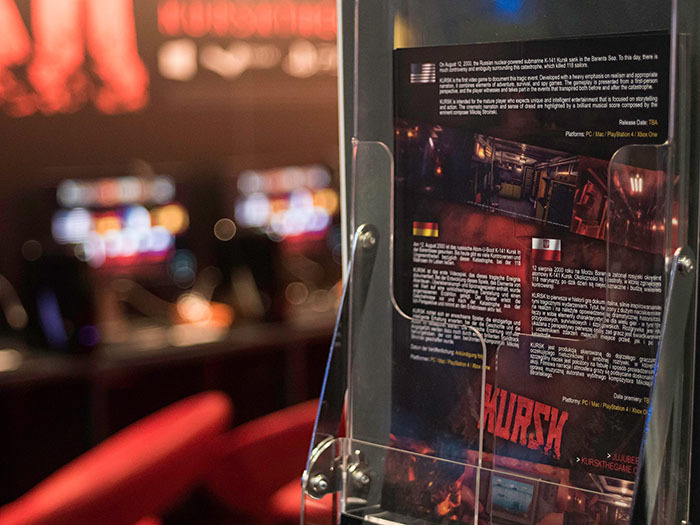 Visitors also found out that games can be informative and teach you something and that gameplay elements in KURSK are well tuned and give players a high quality and diversified gaming experience. 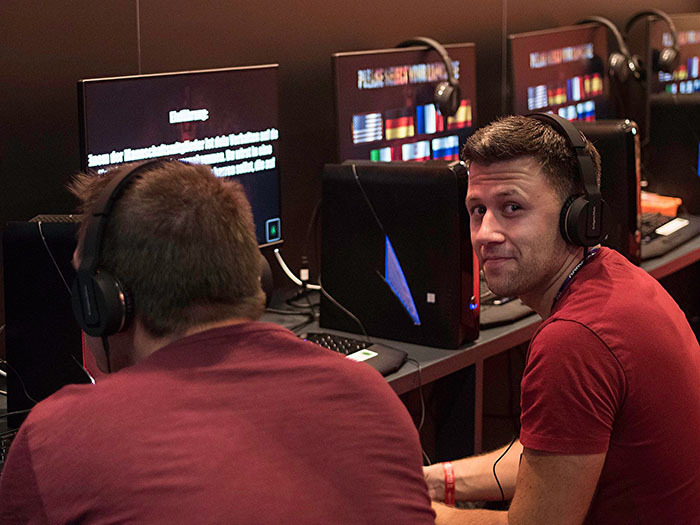 Our estimations show that around 3.000 visitors played the demo of KURSK at Gamescom! 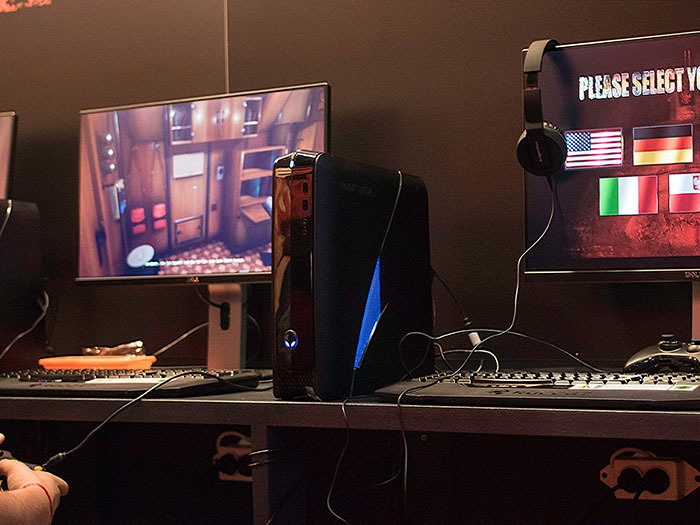 And thanks to great support from Alienware, the game was running on top-notch X51 desktop machines. It is also worth adding that KURSK supports the Alien FX technology. At our business booth we had many meetings with representatives from the industry and press, who not only learned a lot of about KURSK, but also about our studio and other projects we are currently working on - such as our grand strategy game Realpolitiks (which we plan to release this year) and Take Off - The Flight Simulator, which we are still supporting with new updates. Of course we weren’t the only Polish exhibitor at Gamescom. Multiple smaller and bigger companies from our country showed up at the fair in Cologne to showcase their productions to a wider audience. Most of our friends from Polish gamedev have also attended Gamescom several times before, but for some of them, this conference was a first battlefield test. A friendly atmosphere was present at Polish Indie Section all the time. Thanks to that the hours of hard work were less exhausting and brought us a lot of cool updates and talks with our native studios. Gamescom wouldn’t be Gamescom if we didn’t mention the scale of the event. 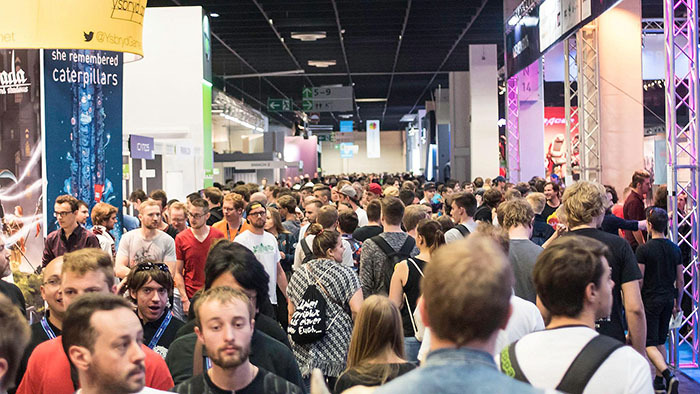 According to the official report (you can view it here), around 345,000 visitors attended the trade fair and over 30,500 trade exhibitors showed up to showcase their games or to keep up with industry trends. You can only imagine how huge and overwhelming is the area of Gamescom which is scattered in 10 huge halls (some of them with 2 floors). From the amount of games showed there, we could preview upcoming blockbusters for which the companies produced a great show with lights and amazingly big sceneries. But smaller devs also had an equal chance to show up and interest everyone in their productions. One of most enjoyable places was the Merchandise Hall where you could buy any stuff the geek or gaming/movies fan can dream about. Official merchandise of renowned companies was also accompanied by booths with figurines, t-shirts, games cartridges / cassettes / floppies, classic consoles, comic books, DVD’s, toys, mascots, etc. This was totally crazy, and having over 100€ for souvenirs just wasn’t enough :). We are extremely happy with the Gamescom attendance figures! 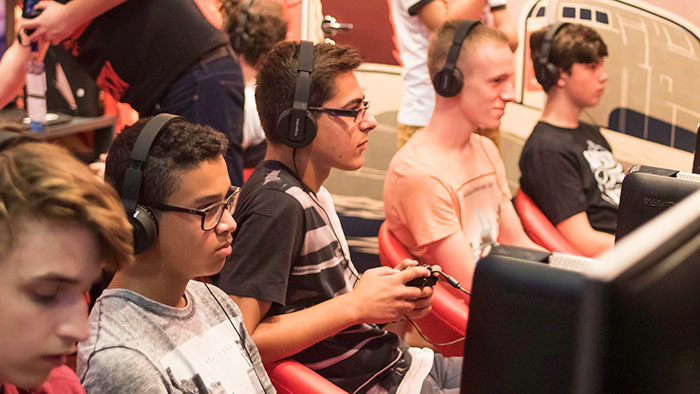 It is by far the biggest trade fair for both exhibitors and gamers in the world. The amount of feedback we received, contacts we met, and business/press meetings, gave us the idea how vast and flexible the gaming market has now become, and how much easier it is to reach worldwide audience and professionals. 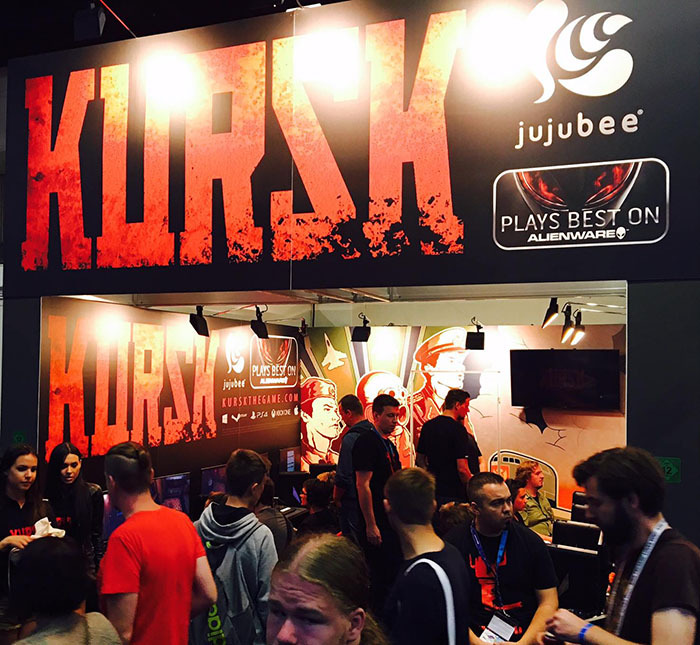 Our booth was looking really amazing at the floor and we were one of the few Polish companies to offer as many as 10 stands with a playable demo of KURSK. But this wasn't enough as some players had to wait a few minutes for their turn. This all shows that Gamescom is indeed a great conference and it was a pleasure to be there to show our unique and innovative documentary game. We hope to visit Cologne next year!